After arriving in Arizona (you can read about that here) the next 2 days were a blur of travelling from El Paso to Corpus Christi, TX. We had spent a very restless night as we listened to all the traffic on Hwy 10 and were glad to get on the road the next morning. Wanting to get off the main highway, (again with no map), we decided to head south through Van Horn. We vaguely remembered going through Marfa and Alpine on our last trip and as the signpost said… 74 miles, down the road we went. These roads have a lot less traffic, more scenic and the speed limit is not much slower than the autobahn. The only difference seems to be is that you have to slow down for towns along the way, which only adds to the adventure. 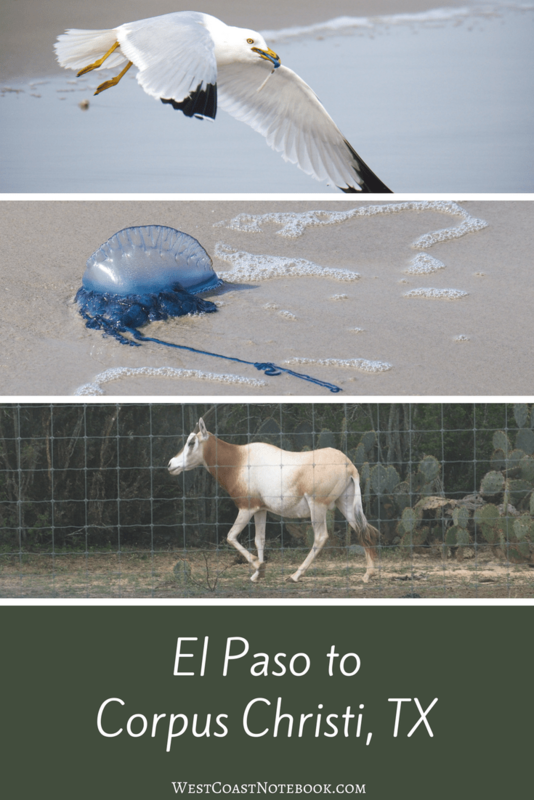 We ended up spending the night in Eagle Pass and the following day made it to the coast by going through Carrizo Springs down to Encinal through Freer and Alice and onto Corpus Christi. As I mentioned earlier we didn’t have a map because they were hard to find so we decided to get a GPS. Thought this might just be the ticket and found one on sale. So… we plot the course and once we hit Alice the GPS said to turn left and go in another direction. As we didn’t have a map to refer to see the bigger picture, off we went. We ended up going up a highway and turning onto a dirt lane that was obviously a back alley through some houses. It took 2 trips down the highway to find the little lane and we spotted it only because we saw a 1-ton truck and a pickup turning down it. Obviously, they had the same GPS that we did. Following the GPS was like taking a detour when you don’t know where you are going and are just trusting the signs. After going down a few more streets (I say that loosely) and rights and lefts, we ended up back on a highway. As we waited to turn left, we saw a truck and horse trailer that we had passed around San Diego, TX whiz by right in front of us. Apparently, they had the map and had just kept on the same highway that took them right through town and out the other side. So much for a GPS! I can’t remember the exact location, but along the route we took Rob said “just look at those horns“! We were passing through what looked like a very large ranch. Miles and miles along the highway. The fences were like wire cattle fencing but were much higher than a regular fence. Would be something that deer or these deer like creatures couldn’t jump over. Rob turned around the car so we could go and get a second look at them and I caught a picture through the fence just before the herd disappeared from sight. When I finally got the computer up and running I found out that they are a Scimitar-Horned Oryx. 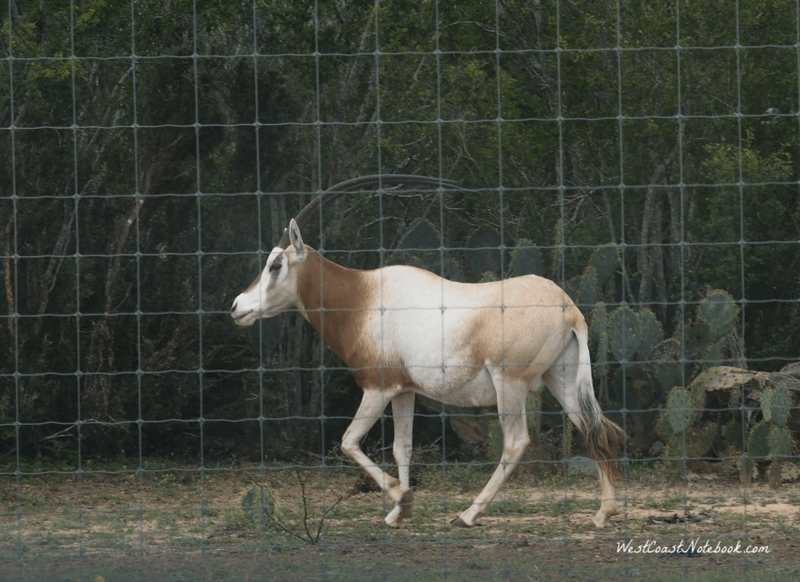 Oryxes were labelled extinct in the wild in 2000 but apparently, they are alive and thriving in Texas. The Estimated World Population: 6,000+but in searching I found some information on a ranch in this area. Not sure if it’s the same place or not, as there appear to be a few of these ranches. This ranch is called the Ox Ranch and their population of Oryxes is around 400 and if you have $4,500 you too can bag one for your trophy wall. The meat is said to be the best game meat there is and their horns stay with them all year round. Next, we went through a town called Robstown where I thought Rob was going to set up shop right there. After all… who wouldn’t want a town named after them? 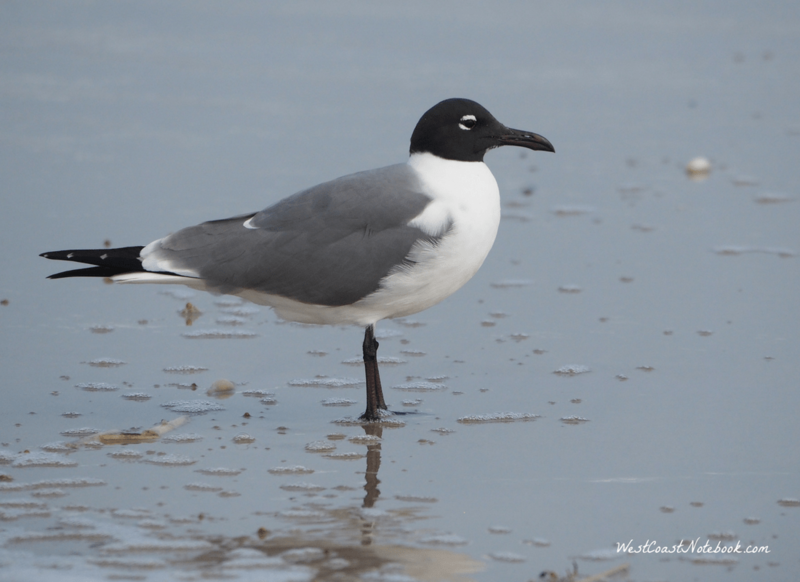 Finally, Corpus Christi was in sight and we headed to Mustang Island to put our feet in the water and find a place to stay for the night. So, after many a wrong turn (thanks to the GPS) we gave up and followed the signs along the road and made it to the island. I think we did better without a map or GPS. The first thing we noticed was all the damage that had been caused by Hurricane Harvey that hit August 25, 2017. There were houses with all the siding just peeled away from one side (ocean side) and the roofers were doing a good trade. Complete hotels and condos were shut down and windows boarded up and there were containers everywhere holding people’s goods in the aftermath of the storm. Container sales and storage units were doing a good business. We stopped at one place that we thought looked nice to see if we could get a room and were told that they weren’t open yet and were hoping to be open for spring break. Apparently, spring break is where the islands make their most money through the year and prices of hotel rooms double during the 2 weeks. But it’s not just a matter of fixing and repairing. First, you have to have the building inspector in to make sure there is no structural damage, then you fix it, then you need to get another permit to say it’s fixed. This all takes time as there are a lot of buildings to inspect and not enough inspectors to go around when a crisis like this happens. 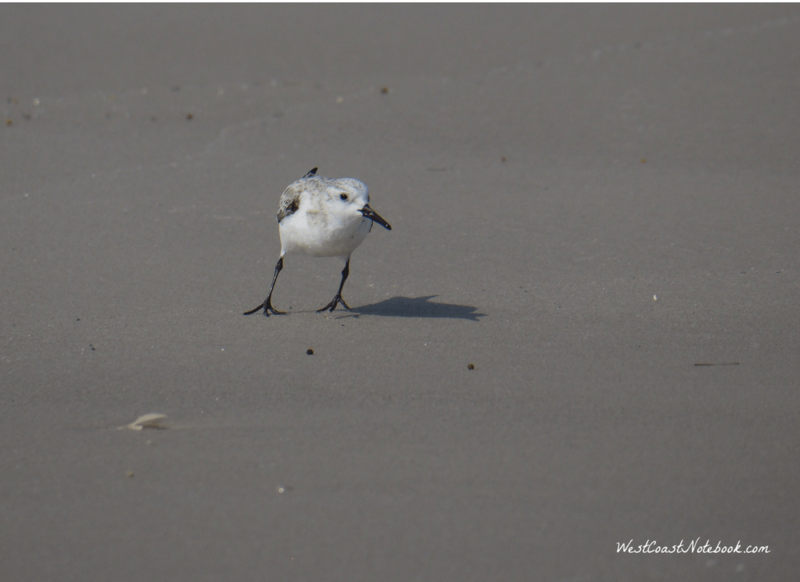 Finally making it to the beach after three days of driving, we sort of felt like this little sanderling that wandered into our path. Driving onto the beach we stopped the car, took our shoes off and made footprints in the sand. Our tootsies never felt so good as feeling the damp sand between our toes. Looking down the beach I could see it spotted with bright spots of blue and thinking that maybe it was glass or plastic went to investigate. 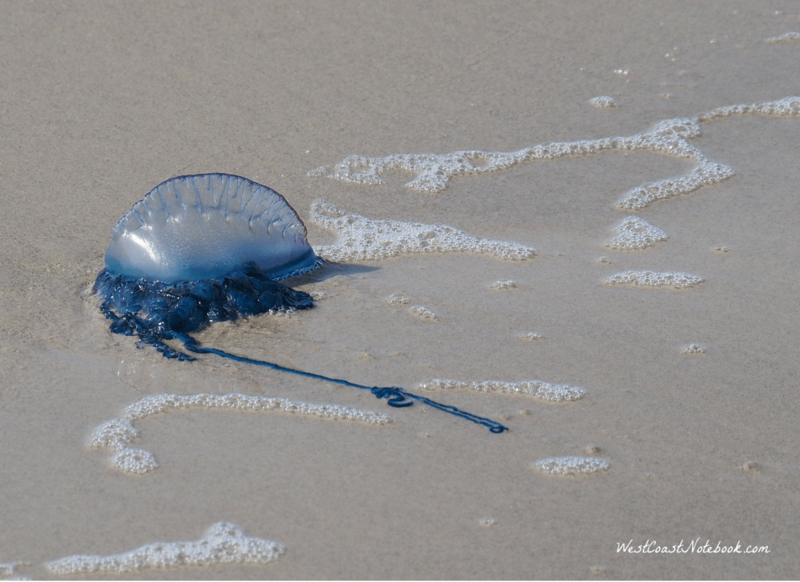 Turns out there was mile upon mile of Portuguese Man-of-War. Of course, I didn’t know that at the time, we thought they were a type of jellyfish, but no… they are not one organism but made of up thousands of little organisms that work in conjunction with each other. Including their tentacles they can equal a six-foot man in height and even though they won’t kill a human, they can give a nasty sting even when they are dead. Rob had a wonderful time after he found two sticks either throwing the man-of-war back into the water or stabbing them and letting the air out. Meanwhile, I was in my glory with all the birds. 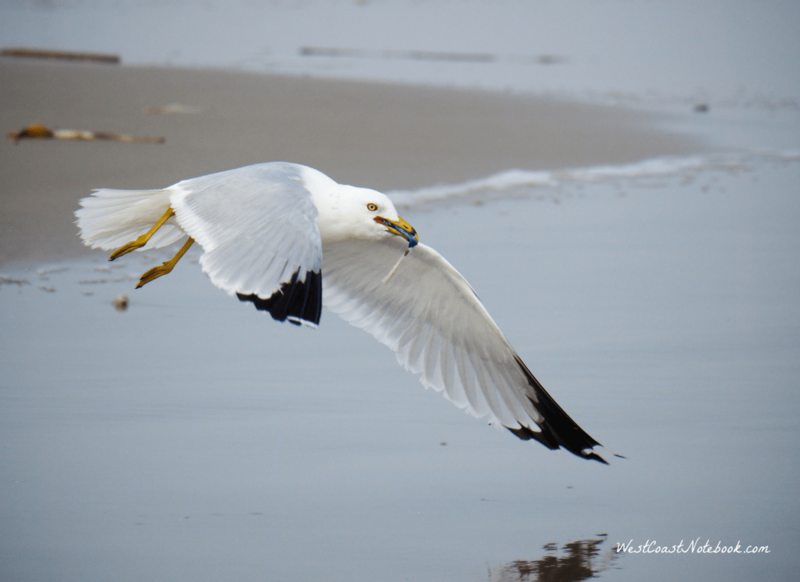 I even found a ring-billed gull that was eating a man-of-war on the fly. 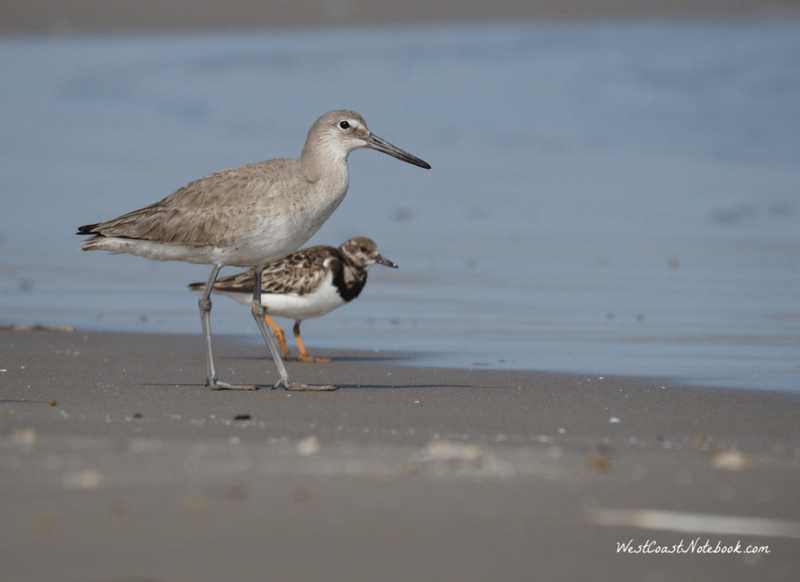 There were about 8 willets on the beach, and I got some great shots of them, but I liked this one the best showing the size difference between the willet and the ruddy turnstone. 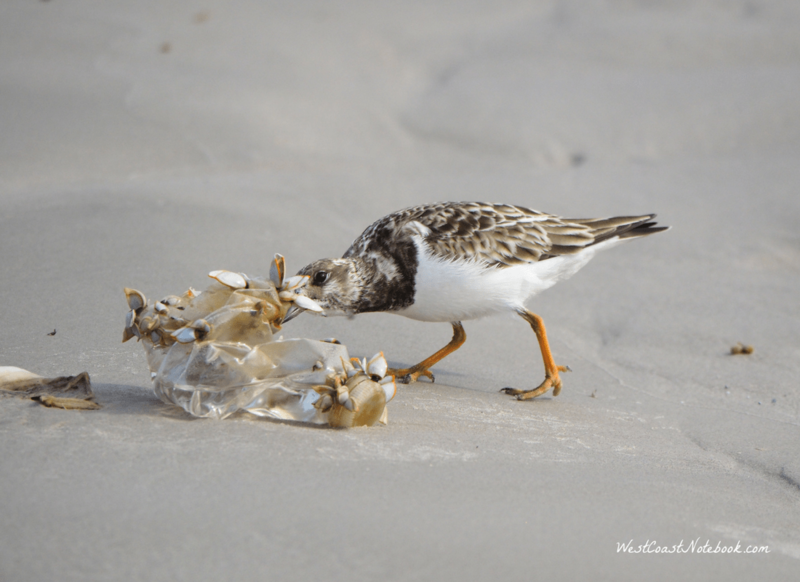 As we walked down the beach I could see another ruddy turnstone pecking away at something. At first, I thought that maybe he found a piece of kelp with barnacles on it, but it turned out to be a plastic water bottle. And from the looks of the bottle, it had been in the ocean a long time. 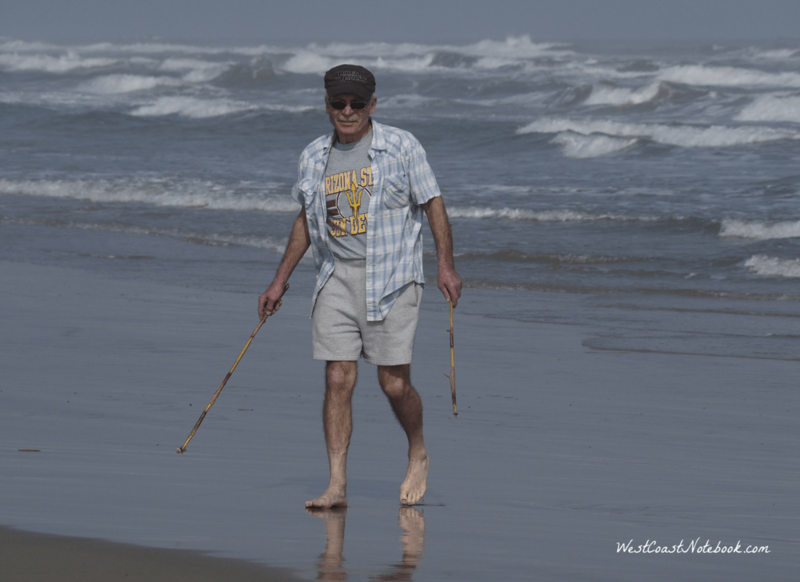 Last time we were on Padre Island we saw a huge amount of plastic washed up onshore and were amazed and dismayed at the sight. Plastic from the large pieces to the smallest grains of sand you just don’t realize how prevalent it is until you actually see it first-hand. Now when we travel, we buy some travel mugs and a large refillable bottle of water and just keep the travel mugs topped up. Less waste and easy to refill. Figure we’ll keep at least some plastic out of the ocean. 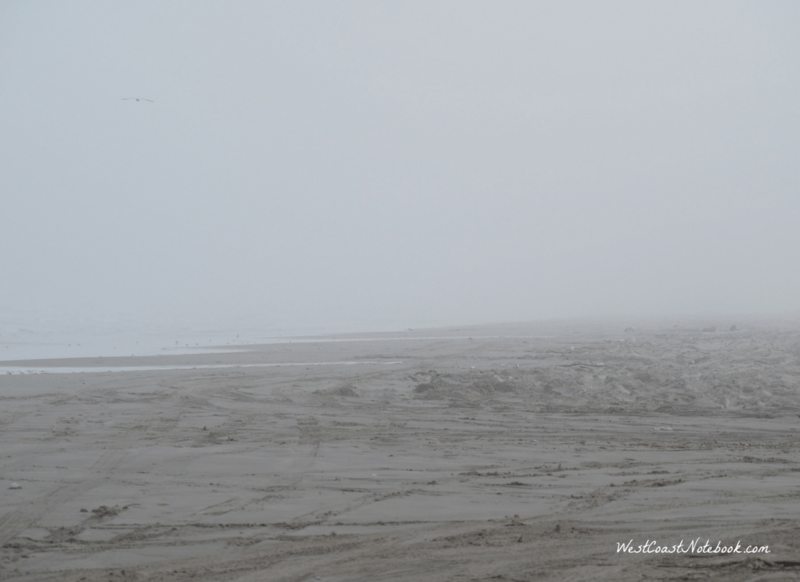 The beach was starting to get foggy, but I had a chance for a couple more pictures. 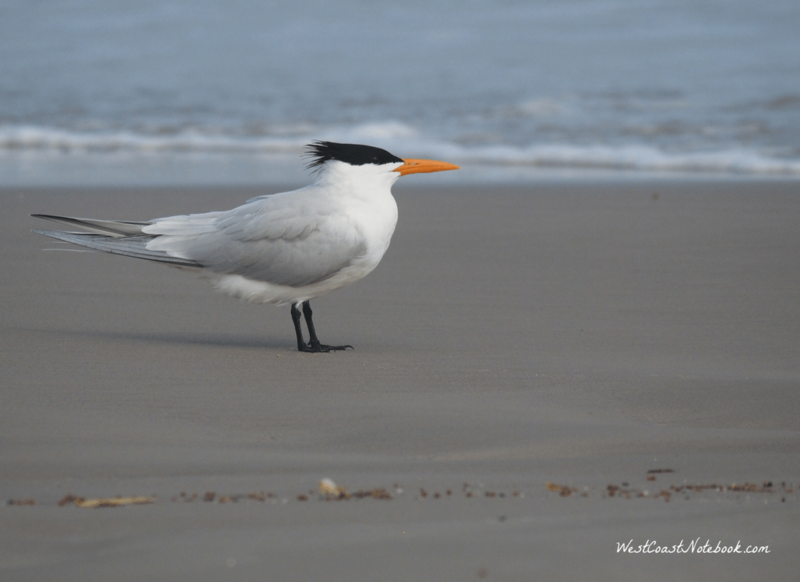 There was a few royal terns on the beach and lots of laughing gulls. And last but not least… the fog which is why my pictures are a little hazy. Leaving the beach we headed to the northern tip of Mustang Island to Port Aransas where we were going to get a hotel for the night. I say “going to get” because after driving through town we came to a point and we thought we would find a parking lot and get out and walk along a park that we could see. But… it turned out that instead of turning into a parking lot, we had turned into a ferry lineup and as there were barriers up on either side of us, once you were in – you were in! While waiting about 15 minutes in the lineup we watched the ferries go back and forth and in behind them were what looked like 3 oil rigs being repaired. The ferry was free and you drove on and 5 minutes later you drove off. Shortest ferry ride I’ve ever taken. That night we stayed in Corpus Christi after doing the circle tour. 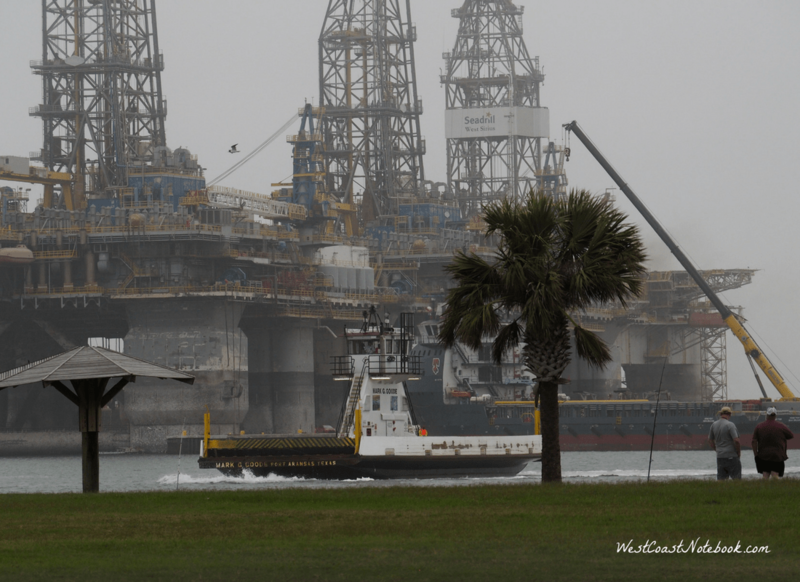 Corpus Christi to Mustang Island to Port Aransas, ferry ride to Aransas Pass onto Portland and back to Corpus Christi. Life is a grand adventure. You never know where you are going to end up next.